Putting performance ahead of profit, we’ve teamed up with Supply Clouds to help revolutionise the way that schools access supply teachers. The ground-breaking platform, Supply Clouds, aims to streamline the booking process and help schools to control staffing costs, as well as improving teaching experience. It was developed by an experienced and longstanding supply teacher, Jon Scott, following research with more than 50 schools, supply teachers and agencies. Rather than being on a ‘per job’ basis, selected agencies on the platform, including ourselves, agree up front cost parameters for all staff supplied to the subscribed schools, allowing for complete cost transparency and access to the best staff at a fair price. They can also select the available staff they want ensuring that they get the best person for the role. Commenting on the partnership, Romilly Wakeling, Operations Director of PK Education said: “We are delighted to partner with Supply Clouds. The very ethos of the technology underpins our own, which is fair pricing for schools and competitive pay rates for candidates whilst not compromising the quality service we offer. 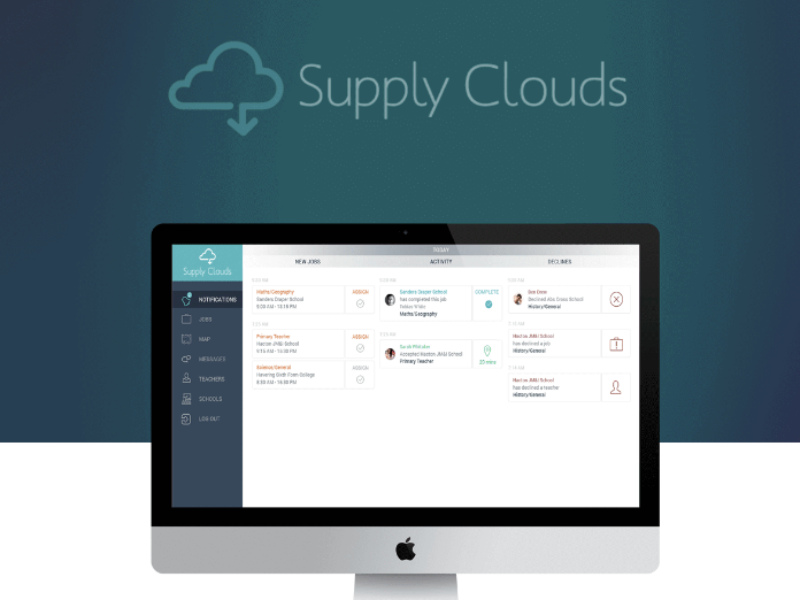 Supply Clouds simplifies, standardises and allows a single point of contact for supply teachers, schools and academies, and agencies, and aims to partner with premium agencies, like PK, that are committed to raising the standards in supply teaching and improving the industry as a whole. To discover more about Supply Clouds in your area or register for supply teacher, cover supervisor or classroom assistant roles, contact your local PK Education team here.